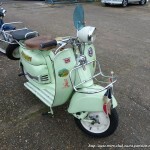 Old Scoot fan Gilles Rebagliato has shared a few photos of his 1957 Motobécane Moby Type M Grand Luxe. 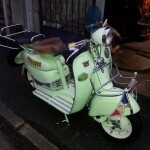 My guess is that living in France makes it a bit easier to find French scooters, and this is a great example. 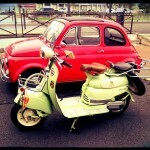 Great Scoot – Thanks Gilles! Do You Know Where I Can Get The Rubbers For The Front Suspension & A Gear Change Cable For One Of These . I Live In Australia & Can’t Find Anything Over Here . Nice Scoot You Have There .